I recently took up the invitation to head north up the Hume freeway to check out Chas Hern’s latest venture. Chas has managed to secure a deal with the Murray Valley Training Centre to run rider coaching and ride days at it’s Barnawatha road circuit, nestled between Chiltern and Wodonga, right beside the freeway for easy access. 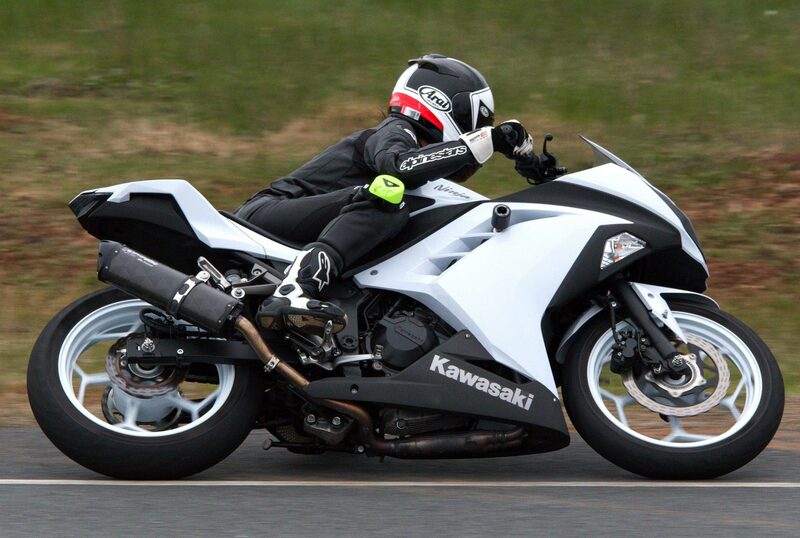 As riders we are always lamenting the lack of available venues and dates to head out on track and enjoy our bikes in an environment that is free from speed limits and policing. So to see another circuit added to the Victorian landscape is fantastic, and hopefully it will continue to be as well patronised as I witnessed on my visit. For those who are not aware of the track, it is a short two and a half hour drive straight up the Hume freeway and sits a minute from the freeway exit. This makes access for people from Melbourne simple and easy, as well as others who might reside just a little north of the NSW Victorian border. The track itself, while being fairly flat in elevation, is a real riders track. It contains a mix of two straights, joined up with some technical, yet flowing, challenging turns to make it a fun place to ride a motorcycle at. The circuit is 1.6 kilometres in length and has a total of nine corners. It is not a stop start affair and does flow very well with only one heavy braking area at the end of the main straight. Speaking with Chas, the faster guys will be pushing close to 200km/h on the straight and lapping in just under a minute. That compares well with tracks like Broadford and Wanneroo. The track however, is not difficult to learn or to ride, so it caters well for all riders, be they complete novices to the racetrack experience, or A grade road racers. On the day I attended, there was a mix of all of the above, not one rider had anything but positive things to say about the track. The surface is smooth and grippy, with plenty of run off area would things turn pear shaped. 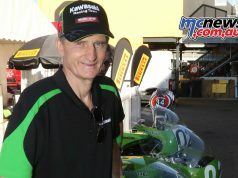 The track is covered by Motorcycling Australia Insurance, so has been properly vetted as safe according to current standards. So those attending can be guaranteed that they are riding in a safe environment…..well…as safe as anything on two wheels can be. Of course, there is always a medical team in attendance, should someone make an error of judgement and have an oops. The numbers are limited to 16 riders per session or group, which means that at no stage does the track ever become overcrowded. It provides plenty of clean air if you want, or the opportunity to mix it with some other riders of similar pace and have a bit of a derby. 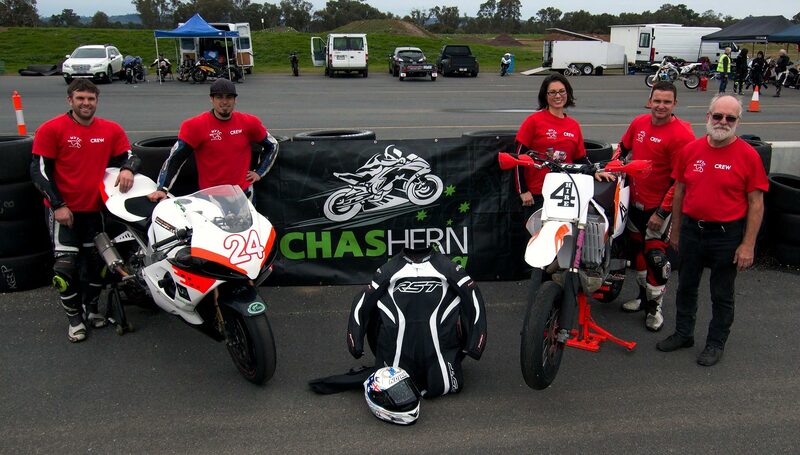 Chas and his team, which includes his father Peter, his Wife Jen, the experienced and fully accredited coaches being Matthew Fyffe, Anthony Nicolo, and relative newcomer Lilish Snoop Ross, who is currently gaining her accreditation as a national rider coach, are on hand to provide one on one coaching for those looking to gain a little more from their track day experience and perhaps learn a few more skills to assist in gaining more confidence, or lower lap-times. 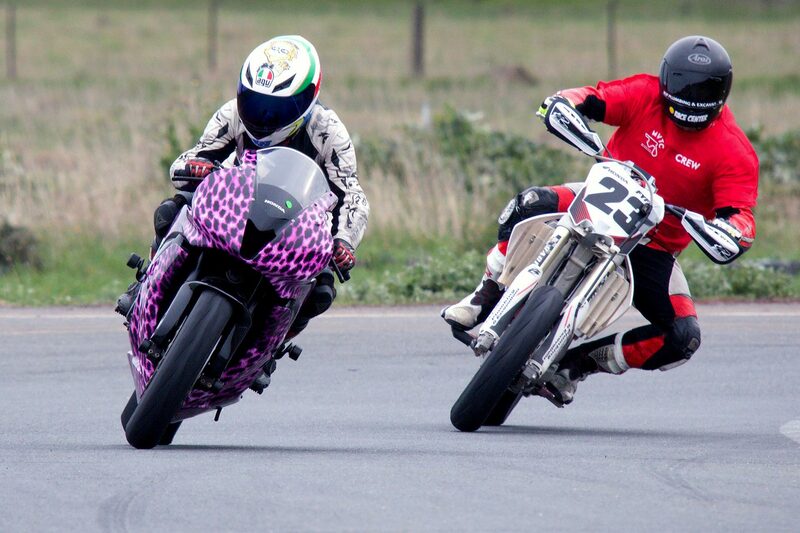 For female riders, sometimes it is easier to talk to another female about riding techniques, so having Snoop on hand can be a big benefit for any females who attend. I noticed on the day, that all the coaches and staff were happy to answer questions from all attendees, not just those who had invested in the coaching program. The coaching is very much a hands on program, with each coach only having to look after two riders each. Compare this to most rider training programs, where often the coaches are having to try and look after many more riders, this provides some intense coaching, with the coaches able to spend a lot of time with each student to ensure they gain the most from their day and achieve their goals. The curriculum, while being a little less formal than some schools, is no less professional. If anything, it is perhaps more professional, as the one on one time given to each student more than makes up for the often indoctrinating processes of some rider coaching programs. For those who enjoy developing a relationship with their coach and have the coach understand what they want to achieve, then this format will suit you perfectly. Some added technology is also utilised to ensure that the student gains the most from the day. On board Video footage is used to clearly demonstrate to the students where they can improve. body position, braking and steering points, reference points and lines can all be shown clearly by viewing the live footage after each on track session. To add further to the tech, rider to coach intercoms are also used, so that the coach can communicate with the student to relay information as things occur on the track. As well, the rider can communicate questions or concerns as they occur while on track. This is a huge benefit, as we often forget some of the questions we might have thought of asking as we progress around the track. On track tuition working on lines and body position. Chas explained to me that the program not only focussed on the on track skills such as vision, body position, lines, braking technique, steering steering points, throttle application and reading the racetrack, but also covered the more basic, yet perhaps just as important aspects such as bike set up. Not just suspension set up, but things as simple, yet as vital as the positioning of the controls. 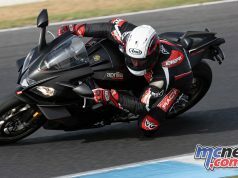 Handlebars, brake and clutch levers, gear shifter and brake pedal positions, to ensure each rider is as comfortable as possible when they head out on track. The school can also provide all the gear you will need, from the all important bike, to Helmets, Leathers, boots and gloves. The fleet of bikes has something to cater for most levels and disciplines. There are several sports bikes of differing capacities, from 400’s and 600’s to 1000’s and even SuperMotards for those more used to riding a dirtbike style of bike. 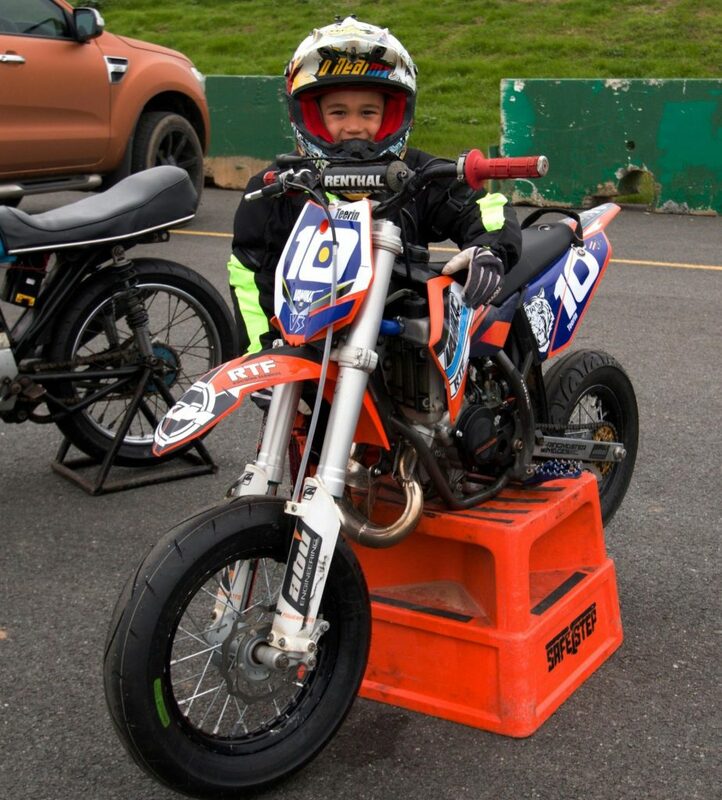 The day also runs Juniors sessions for those who have younger kids who are venturing into road racing and want a little practice at an affordable price. As those with kids who race know too well, it’s an expensive sport and saving a little on track fees can be the difference in being able to get some practice in or not. 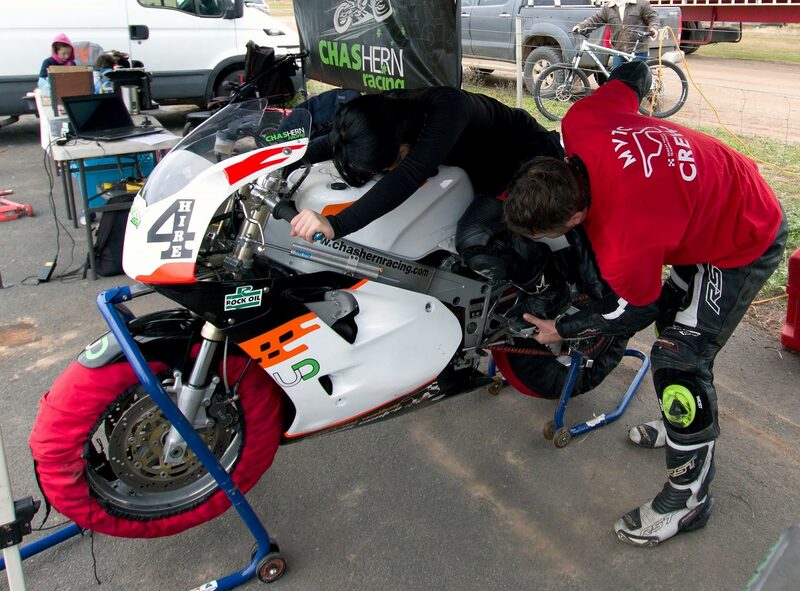 It’s well worth making a trip up to Chas Hern’s Murray Valley Training Centre to enjoy the day riding a new circuit, learning some new skills, improving your lap-times, getting a few pics of those memories or just even using it as a practice, set up or development day for your race or road bike. 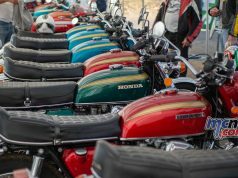 The day is open to rider of most bikes, from the smallest capacities right through to litre bikes, from Juniors all the way through to seniors, girls and guys. For further information, either contact Chas Hern on Facebook, or go to the Murray Valley Training Centre website https://www.facebook.com/Murrayvalleytrainingcentre/ where you can book online.